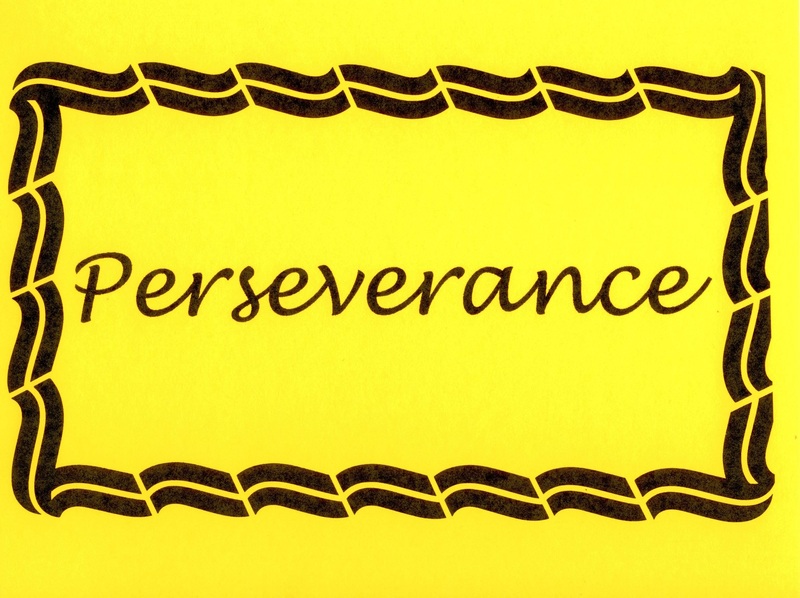 One P, please, for Perseverance. Let’s hear it for the sounds of success! I’ve read over the last few weeks about several college graduation addresses by accomplished speakers in diverse locations. In ceremony after ceremony, a theme prevailed about what it takes to be successful – patience, perseverance, courage and kindness. Long before their college years, let’s introduce kids to this concept of success, not only in character education programs, but also in the form of language instruction. NOTE to worldwide readers: Adjust this approach for languages other than English. Teachers can help children explore these success-related words – patience, perseverance, courage and kindness – in new and creative ways, including, for example, how we use words like courage and kindness that begin with the same sound but different letter. We can give kids the sounds of success. Yes…specifically…2 Ps and 2 C or K sounds. When you begin a conversation around this theme, invite kids to say the letters P, C and K aloud with gusto! C stands for courage, but also for the word, can. 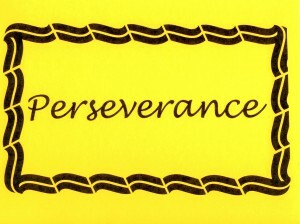 Perseverance makes can do possible. Ask them to listen for the distinct sounds that these letters make. Explain that in this exercise, one P stands for Patience. A second P stands for Perseverance. 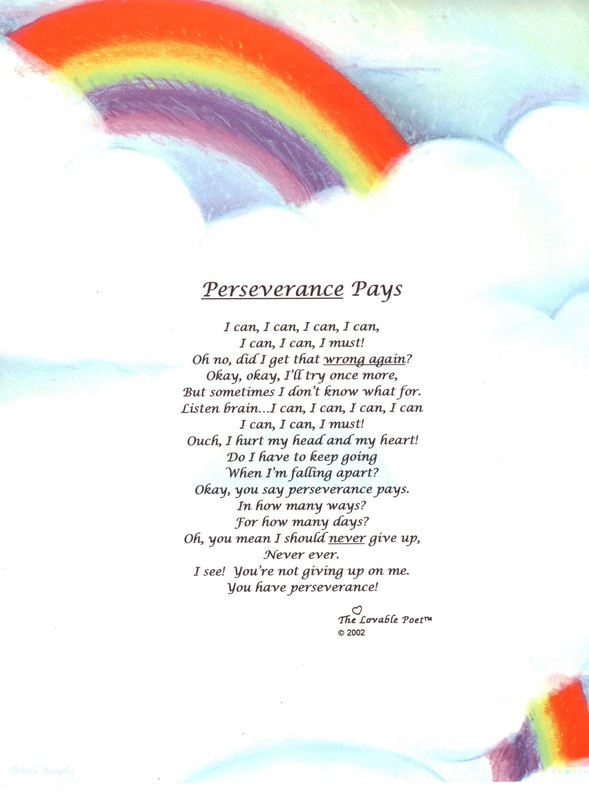 Continue a language arts connection with the sounds of success by sharing a poem about perseverance with students. Remind the class that poetry is all about sound. Poems are written to be heard as well as read. Challenge students to listen carefully – an attentionology skill of its own – for the most used word – can – as you read my poem (see below) aloud. I can, I can, I must! Oh no, did I get that wrong again? But sometimes I don’t know what for. Ouch, I hurt my head and my heart! Okay, you say perseverance pays. I see! You’re not giving up on me. In a world full of distractions, the sounds of success are sometimes drowned out by the roar of information overload. How can we give kids the sounds of success based on courage and kindness amid the violence that so many witness in person or via media outlets today? C stands for courage, a letter and word with powerful sounds…the sounds of success. Invite children to sound out each word – courage, kindness – and think about the power behind the sounds. 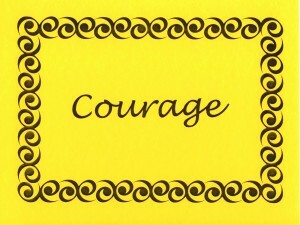 C for courage makes a strong sound. K for kindness sounds a little gentler, like the meaning of the word itself. 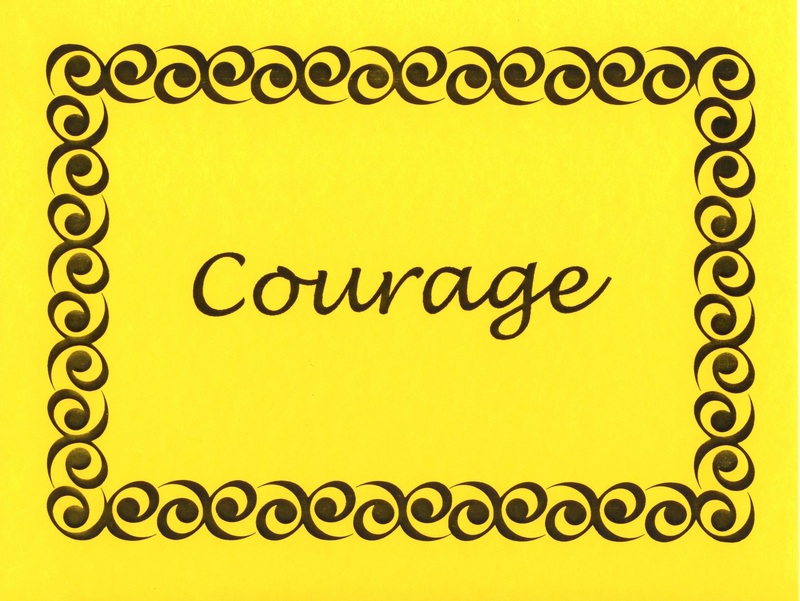 Share my poems about courage and kindness (see below) with the class after you announce a pre-planned poetry writing time when students will write poems of their own about these two important sounds of success. In the news last year. Who acts on his or her belief. Of neighbors stopping a thief. With a sense of right and wrong. By being brave; by being strong. 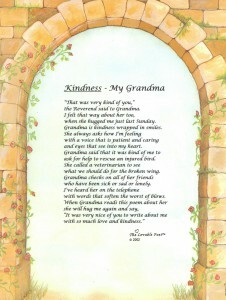 Kindness – My Grandma…a universal truth for so many children. Grandmas offer the sounds of success to children in countries around the world. When you read aloud the title of the poem, Kindness – My Grandma, ask students to listen for the where the word patience and caring fit in. 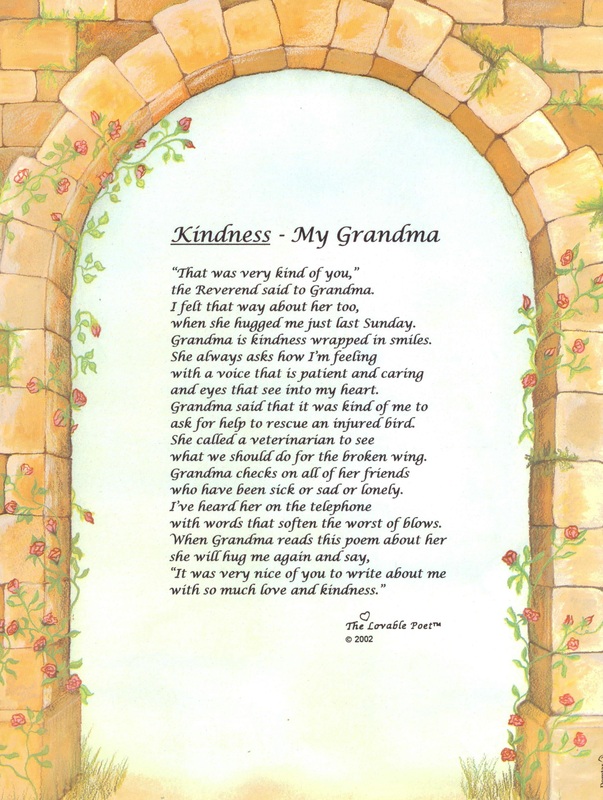 Challenge children to listen, too, for how actions speak louder than words, as expressed by the actions of the grandma who is the focus of the poem. Point out that positive actions makes their own sounds of success. the Reverend said to Grandma. when she hugged me just last Sunday. Grandma is kindness wrapped in smiles. and eyes that see into my heart. ask for help to rescue an injured bird. what we should do for the broken wing. who have been sick or sad or lonely. with words that soften the worst of blows. 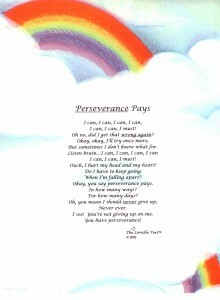 When you begin poetry writing time related to the sounds of success, instruct students to think about people they know who show patience, perseverance, courage and kindness. Advise the class that these models may be the subjects of their poems. maybe when the elementary school poets of today are graduating from college tomorrow. What will the sounds of success be then? How do you give kids the sounds of success in your classroom? Please send comments. 2 Pings/Trackbacks for "Give Kids the Sounds of Success"